ATLANTA -- Two lucky winning tickets were sold in Tuesday's near-record Mega Millions drawing: one at a tiny newsstand in Atlanta, and the other more than 2,000 miles away in California. The jackpot, set at $636 million at the time the winning numbers were picked, was going to grow and was likely to wind up closer to $648 million, according to Alex Traverso, a spokesperson for the California Lottery. Both $636 million and $648 million would be the second largest jackpot in U.S. lottery history. The largest was $656 million. Traverso told CBS News the final total was still being tallied early Wednesday. Some media outlets reported that Soolee would receive money as the owner of the store that sold a winning ticket. But Georgia Lottery spokeswoman Tandi Reddick said Wednesday that's not the case. She said Soolee won't get any bonus beyond the 6 percent commission all retail outlets received based on lottery sales. "They do have the distinction of being known as the lucky store now, and that's always great news for them," Reddick said. The chances of matching all six numbers in a Mega Millions drawing are about 1 in 259 million. The odds used to be 1 in 176 million, CBS News correspondent John Blackstone reports. 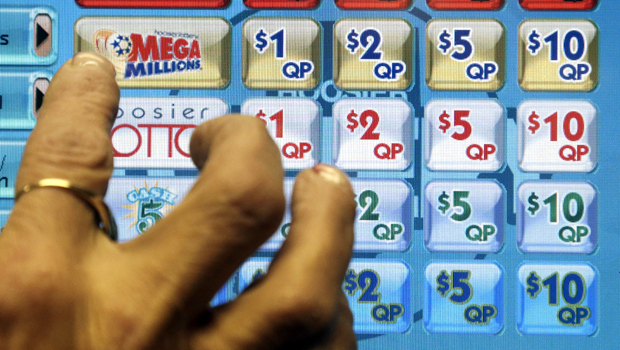 In October, Mega Millions restructured the betting system to increase the payouts. Instead of picking six numbers between 1 and 56, players can now choose six numbers between 1 and 75. The decrease in probability has increased the amount of rollovers - and propelled jackpots to staggering totals. Reddick said also the winner has 180 days to claim the prize. The clock began ticking Tuesday. Lottery officials in Georgia will release basic information about the winner, including name and city of residence. Like the policies for store owners receiving bonus money, the number of days and anonymity for the winner varies by state, Otto said in an email. The winning numbers in the drawing were: 8, 14, 17, 20, 39; Mega Ball: 7.